Dr. Novinski is a licensed psychologist and the founder of Las Colinas Psychological Services. She is an alumna of the University of Dallas, and went on to earn her masters and doctoral degree in Clinical Psychology from Duquesne University in Pittsburgh, Pennsylvania. The psychology programs at both universities are steeped in the Existential-Phenomenological tradition which values the dignity, freedom, and responsibility of each person. Dr. Novinski completed her doctoral research in conjunction with the University of Texas Southwestern Medical Center at Children's Medical Center of Dallas. This research focused on understanding how children living with cancer view their illness, treatment, and themselves, and how they find meaning, support, and resilience in the midst of living with their diagnosis. Dr. Novinski has taught psychology to undergraduate students (Duquesne University, University of Dallas), educators (DANTE: Dallas Area Network for Teaching and Education), and graduate students (Texas School of Professional Psychology, University of Dallas). She enjoys mentoring students as they delve deeper into topics including Developmental Psychology, Child and Adolescent Psychopathology, Adult Psychopathology, the Psychology of Death and Dying, Cultural Psychology and Diversity, Existential Phenomenological Psychology, and Qualitative Research. Dr. Novinski has provided psychotherapy in both university and community mental health settings with individuals of varied backgrounds, life circumstances, and mental health conditions. 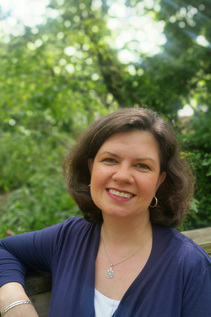 She has also worked as a staff psychologist providing psychotherapy and diagnostic testing for patients undergoing medical rehabilitation (e.g., following a stroke, amputation, major surgery, extended hospitalization, or injury) as well as for palliative care and long-term residents of skilled nursing facilities. Dr. Novinski's expertise is in providing existential and psychodynamic based psychotherapy. However, she is flexible and open to utilizing other approaches (including solution-focused or cognitive behavioral techniques) when those best fit the needs of an individual patient. She provides brief and long-term individual psychotherapy for adults and adolescents. She is experienced in treating depression, anxiety, relationship difficulties, trauma, bereavement, life transitions (e.g., changes in career, family, or stage of life), managing chronic pain and medical conditions, and chronic mental illness. She has a particular interest in working with grief and loss and finds those to be recurrent themes in psychotherapy for patients coping with tangible and symbolic losses in their lives. Dr. Novinski enjoys working with early-career health and mental health professionals to process trauma in their own patient populations. She also works with these and other professionals and executives to manage work-related stress and career transitions and to develop a satisfying and sustainable work-life balance. Dr. Novinski conducts diagnostic testing for learning difficulties (dyslexia, dyscalculia, dysgraphia), attention deficit disorders, and other mental health conditions, as well as individualized psychological assessments integrating objective and projective personality testing.